What is a Green Building Council? “Green” or “sustainable” building covers the design, construction, and management of environmentally superior buildings – often homes, offices, schools, hotels and resorts, or hospitals. Globally, green building is rapidly increasing in popularity as people becoming more concerned about climate change and environmental problems. Another major growth driver is the economic benefit of energy efficiency, which is a major aspect of green building. Green building is of a very few sub-sectors in the US construction market which continues to grow despite the US slowdown. It is easy, however, for a developer or designer to call her work “green”. It is hard to prove it. “Green building councils” are non-profit organizations that set benchmarks for green buildings in a given country. They set easy-to-understand performance and design criteria which create a common language of best green practice. Building projects that apply these criteria to their own projects may choose to receive certification from a green building council, thus displaying to the public an objective, verified rating of their building’s green qualities. Green building councils are an essential part of a market’s transformation to green practice. They provide objective, independent information and green labeling – necessary to translate green to market value. Green building councils are non-profit organizations or NGOs, and thus are not associated with profit-making motives or outside interference. The World Green Building Council in Toronto, Canada assists the development of individual green building councils and servers as a body connecting and overseeing the activities of green building councils worldwide. The World Green Building Council is a network of national green building councils in more than one hundred countries, making it the world’s largest international organisation influencing the green building marketplace. The WorldGBC’s mission is to strengthen green building councils in member countries by championing their leadership and connecting them to a network of knowledge, inspiration and practical support. WorldGBC is a member network of Green Building Councils enabling green building and sustainable communities through market transformation and leadership. The Green Building Councils and their members are the power behind the green building movement, which now for over a decade, has been working across the building and construction value chain to create a more sustainable built environment, enabling us to live within the limits the planet can support. WorldGBC works closely with its members to ensure that every member Green Building Council is operating at the standard and quality needed to maintain a powerful and highly regarded movement. It brings together GBCs in networking and collaborative projects to support their development individually and to ensure that we as GBCs are greater than the sum of our parts. WorldGBC also increasingly plays an important role in globally influencing recognition and support for our movement, which in turn strengthens each GBC’s influence in their own markets. WorldGBC membership is made up of three different levels (Established, Emerging and Prospective), each of which reflects the maturity of the GBC as an organisation. The Vietnam Green Building Council (VGBC) is a program of Green Cities Fund, Inc., an international non-profit organisation based in California, USA. VGBC was established in 2007 with an aim to raise awareness and build capacity for the development of green building in Vietnam. VGBC has been officially recognized by the Ministry of Construction of the Socialist Republic of Vietnam (March 2009) and also took part in the establishment of the WorldGBC Asia Pacific Network (Sept. 2009). Mitigate: Facilitate green building and emission reductions in Vietnam. Educate: Educate key sectors on sustainable and climate-change adapted building. Adapt: Help adapt buildings and infrastructures in Vietnam to the potential impacts of climate change. Develop and maintain a set of green building rating systems for Vietnam. LOTUS Rating Tools provide a framework for building designers to benchmark environmental performance. LOTUS Rating Tools are composed if nine categories regarding energy, water & material conservation, ecological projection, pollution & waste management, health & comfort, climate change adaption & mitigation, community & project management; for each categories, relevant standards and benchmarks have been set. When a project team chooses to design a building in accordance with green building principles, the may choose to certify the results as a LOTUS green building. VGBC will then assess submissions from the project team, including construction documents, energy modeling results, and site ecological surveys, in strict accordance with the LOTUS criteria. Such assessments may also involve one or more site visits. VGBC assessment team will then either award a project a LOTUS rating (Certified, Silver, Gold or Platinum) or award no rating. Design rating will be given on a temporary basis. Once a building is completed, it must have a performance assessment to receive its final rating. Performance assessments must be renewed every five years. The implementation of green building and urban climate change adaptation in Vietnam requires not only good strategies, methods, and criteria, but also education. VGBC will provide basic and advanced information to professionals such as architects and engineers that will help them create green buildings. It will also hold seminars and workshops, and make educational materials available on its website for other important stakeholders, such as developers and government officials, whose work will be crucial in advancing Vietnam’s green building. Finally, VGBC will also post information on sustainability and climate change adaptation for the general public, as individual efforts in these areas can have a great impact. Like all green building councils, VGBC is non-profit and supported by grants and membership dues from organizations. It then has a responsibility to serve its members by giving them recognition at public events and in publications. Members may also receive discounts on other VGBC services. Mr. Le Cuong was the Co-Founder and Vice-President of both The Vietnam Green Building Council and The Green Cities Foundation (Oakland, USA). He was awarded honorary member of the French Association of Architects in 2008 with strong training, urban development and heritage preservation background. From 2007 – 2008, he was professor at the University of Hanoi, School of Architecture. He received his Master Degree of Architecture at Cities Design from MIT, Cambridge, USA in 1971 and Federal Polytechnic School of the University of Lausanne, Switzerland in 1967. Dr. Jalel Sager teaches ecological economics and microgrids at the Energy and Resources Group (ERG) at UC-Berkeley. He researches Mekong energy planning and development for a joint Berkeley-Harvard University project (LMPPI); his previous work focuses on historical and institutional relationships between energy and polit­i­cal economic systems. In 2012 Dr. Sager co-founded the Southeast Asia—Renewable and Adaptive Energy (SEA-RAE) net­work at Berke­ley for microgrid research and implementation, and in 2014 New Sun Road, an allied California benefit company. In 2007 he organized the Viet­nam Green Build­ing Coun­cil (VGBC), now the nation’s lead­ing green build­ing orga­ni­za­tion, serv­ing as its founding exec­u­tive direc­tor until 2009, when Futu­rArc mag­a­zine profiled him as one of Asia’s top 20 pos­i­tive influences in the build­ing sec­tor. Dr. Sager received his PhD from ERG in 2015, an ERG Mas­ters’ degree in 2011 and an undergraduate degree from New York University’s Gal­latin School. He has received the US National Sci­ence Foundation’s Grad­u­ate Research Fel­low­ship; a US For­eign Lan­guage and Area Stud­ies fel­low­ship; and a National Merit scholarship. DECEMBER 2005: VGBC, and its parent organization, Green Cities Fund, Inc. (GCF), conceived in Hanoi by architect Le Cuong, lawyer Tom Miller, and journalist and consultant Tran Tuong Nhu. APRIL 2007: Jalel Sager joins VGBC project as Hanoi coordinator. JULY 2007: VGBC wins grant from RMIT Global Cities Institute to develop urban adaptation website for Viet Nam. AUGUST 2007: VGBC holds first annual “Green Summer” lectures and professional/academic seminars in Hanoi. SEPTEMBER 2007: VGBC forms technical committee to create green benchmarks for Viet Nam. VGBC submits business plan endorsement of WorldGBC. Jalel Sager named VGBC executive director. OCTOBER 2007: GCF applies for formal operating permission in Viet Nam. * VGBC finalizes founding international advisory board. NOVEMBER 2007: VGBC collaborates with local architects on competition for green high-rise. Staff and members of founding board and international technical committee travel to Ho Chi Minh City for Nautilus Institute scenario workshop on climate change adaptation in Asia. VGBC begins partnership with Tri Viet University project of board member Madame Ton Nu Thi Ninh. DECEMBER 2007: VGBC receives AUD $62,000 grant from the Global Cities Institute of RMIT University in Melbourne, Australia to begin SCCA research and bring VGBC researchers for green building training in April, 2008. Organizational meeting of the VGBC Technical Steering Committee Three working groups formed: SCCA Buildings, SCCA Urban Planning, and SCCA Infrastructure * VGBC receives formal endorsement from WGBC. JANUARY 2008: GCF receives operating permission from the Vietnamese government. Executive Director Jalel Sager addresses annual national meeting of Viet Nam Association of Civil Engineering for the Environment (VACEE) on climate change, sustainable building, and SCCA. Working groups hold first meetings and finalize 2008 action plans. FEBRUARY 2008: Rolling launch of the Viet Nam Sustainable Climate Change Adaptation Network (V-SCCAN), VGBC’s adaptation website for Viet Nam. The VGBC Board of Directors and the Advisory Board are composed of local and international construction stakeholders from government, academia, and the private sector. Dang Thanh Long obtained an Honors degree in Finance and Banking from National University of Singapore. 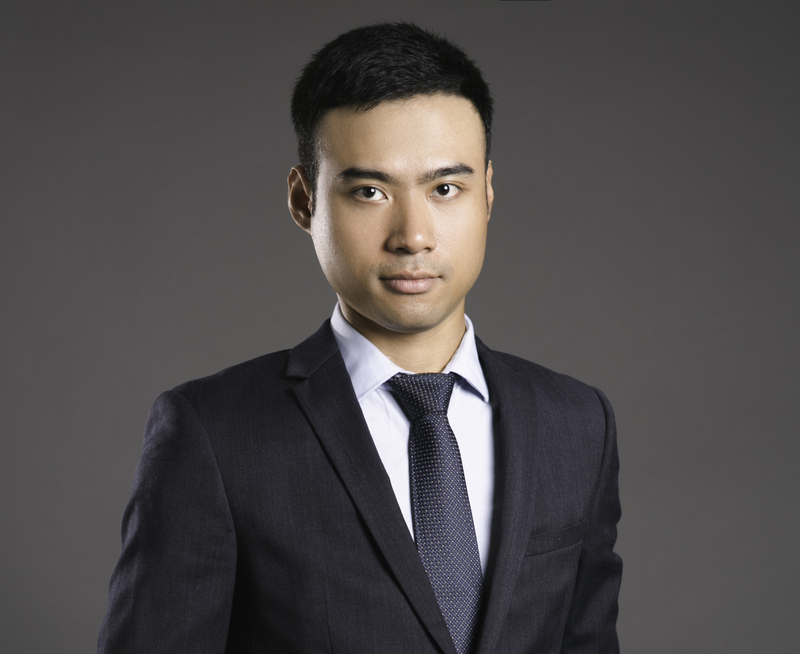 He has worked in Vietnam for more than 6 years as an investment banker and fund manager. Since June 2015, he starts working at Vietnam Green Building Council as Executive Director. 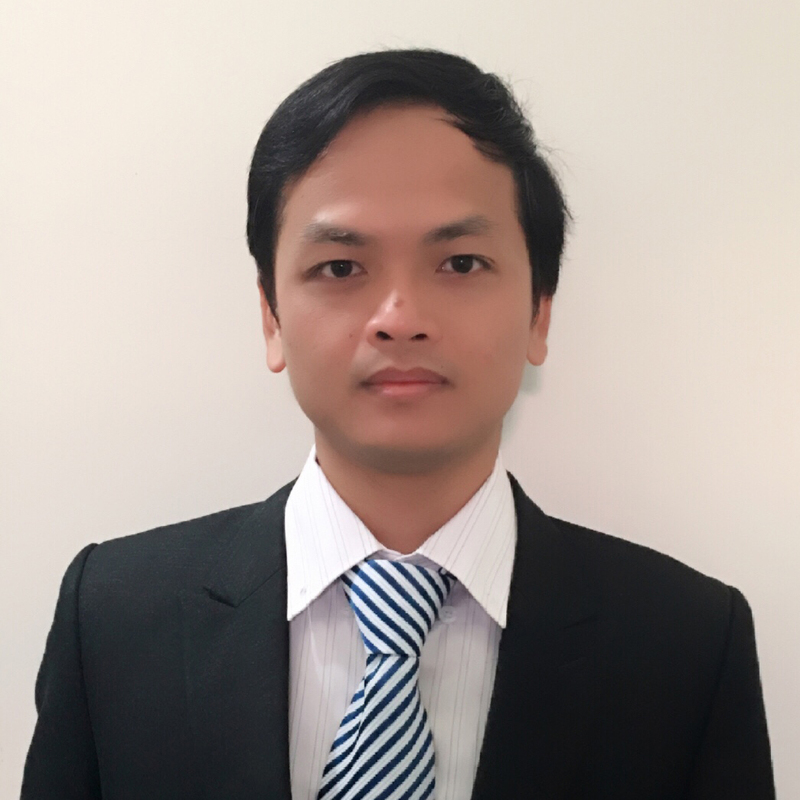 Vu Hong Phong obtained a Master’s Degree in Energy from the University of Sciences and Technology Montpellier (France), specialized in Energy Management for the Building Sector. Working as an on-the-job trainee at VGBC during his 5-month internship, he had the chance to share his knowledge about European efficient energy buildings and participated in the development of LOTUS BIO, LOTUS NR and certification of LOTUS projects. After his graduation, Phong returned to the home country and started with Comin Asia (Vietnam) as an Energy Engineer in Contracting Department. He joined VGBC Technical Team from 2013 to strengthen the technical capability of the organization. Xavier Leulliette is an engineer graduated from the Ecole des Mines de Douai (France) and specialised in Energy Engineering. End of 2011, Xavier started to work for Big C Vietnam as Big C’s energy manager and as the LOTUS AP for the Big C Di An project which finally got the LOTUS Silver certification. Satisfied with his experience working on project management and implementing Green Building certification on a concrete project, Xavier returned to the VGBC to bring his new insights and contribute to the improvement of LOTUS rating systems. 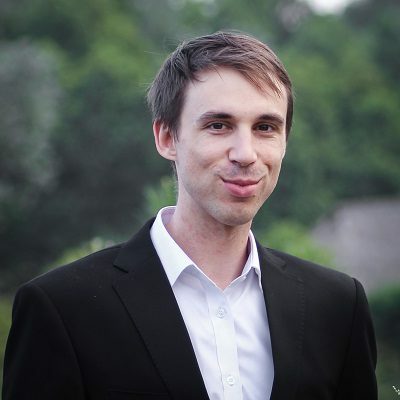 Now at the position of Technical manager, Xavier is mainly working on the development of new LOTUS rating tools and on the assessment of LOTUS projects.